Africa Business Radio has launched a new show to unpack Africa's reputational challenges and opportunities. Talking to Africa will make its debut on September 27. The show will broadcast on Wednesdays at 3pm, with repeats on Thursdays and Mondays at 9am SAT. The objective of Talking to Africa is to discuss the narrative of Africa: what it currently is; who shapes it; how it impacts the continent's development; and what can be done to ensure Africans own their own storytelling tools and platforms. 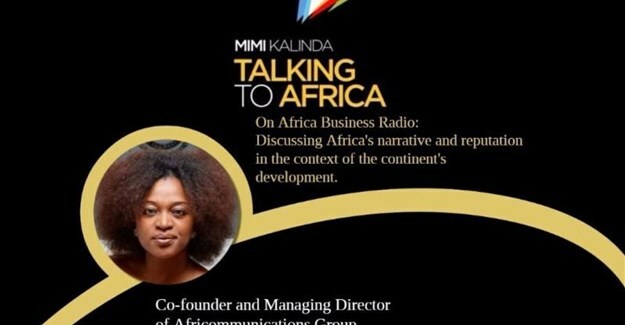 Following on the release of her new e-book, Talking to Africa: Considering Culture in Communications for a Complex Continent, PR and Communications maven, Mimi Kalinda, continues the work of ensuring Africans are given a platform to shift the African narrative. Author and managing director of Africommunications Group (ACG), a pan-African public relations company, and now the new host of Talking to Africa, Kalinda leverages her experience of almost two decades in communications in Africa and abroad, to argue and highlight the importance of giving Africans a voice and recreating the African continent's narrative. The first episode of Talking to Africa is to discuss Africa's shift from what The Economist once dubbed "The Dark Continent", to "Africa Rising", and the exploration will be led by a common goal: to explore and get to know the factors, circumstances and people who shape Africa's narrative, why and how they do it, and what can be done towards achieving reputational equity for Africa that is fair, balanced and truly representative of the realities on the continent. Subsequent episodes of the show's first season will discuss Agenda 2063, African youth immigrating to Europe, the reforms of the African Union, trade issues in East Africa, African leadership and the issue of culture, African identity and social cohesion, decolonising African education, Cameroon's Francophone and Anglophone conflict, colonial tax in the modern world, trade and politics in Southern Africa, democracy, and Africa's contribution to scientific discovery. 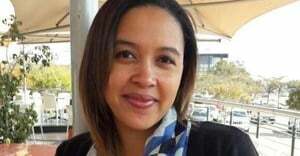 Kalinda is an advocate of the African continent and its growth. She regularly writes and speaks about how shaping Africa's narrative positively is vital for the continent to fulfil its potential. She is an associate of the 2017 Archbishop Tutu Fellow Leadership programme, sits on the Africa Brand Counsel and was nominated for the Women4Africa Awards 2016 as a finalist for the International African Woman of the Year Award. Africa Business Radio is a multi-platform digital business radio station combining the power of traditional online with mobile, social media and Podcast to reach a wider community of business and institutional leaders. ABR provides insights and analysis regarding the business landscape across Africa, ranging from startups to economics, providing stories useful for doing or planning to do business in Africa. Its goal is to reduce the risk of failure for businesses of all sizes expanding into or across Africa by demystifying the complexity of the African Business Landscape.